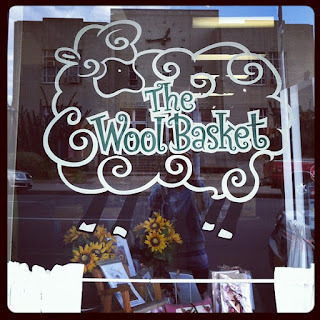 The Wool Basket is a wonderful shop in our Old Town neighborhood here in Loveland. 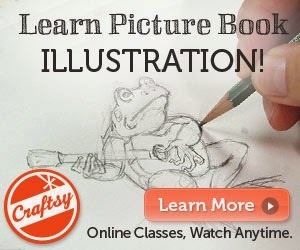 Although Karen specializes in wool for rug hooking, punch needle and penny rugs, and wool applique, she recently added a knitting department as well. 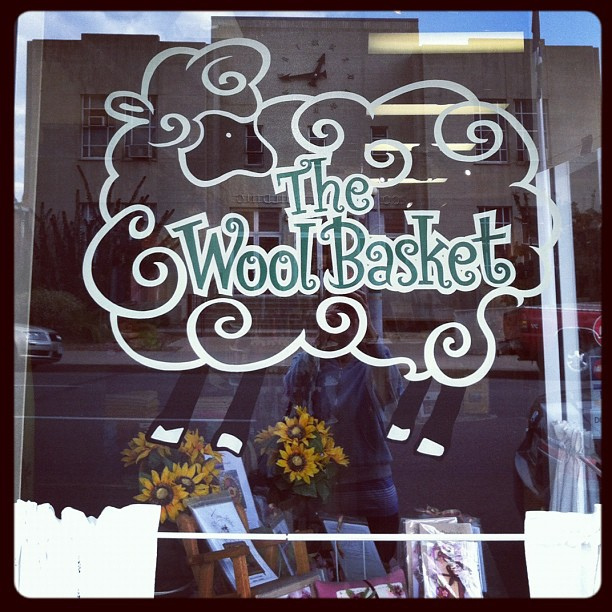 I have been a customer here since she opened... in fact, Eric hand lettered her store window over seven years ago! This is my favorite photo from the book signing... nothing like having a real model to sample the knitted dress from our new book! You probably know of the online knitting magazine, Petite Purls. The co-editor, Allegra, and her daughter joined us for the event, and Satya looked adorable in Phoebe's Party Dress. My dear friend and crafty companion Karen, the shipowner Karen, and knitter Dawn hanging out at the counter checking out some patterns. The Saturday afternoon knitting club gals are working on sampler blocks for a gorgeous blanket. It is always a pleasure to visit with the knitters! Thanks to everyone who came out to the event, we had a great time!